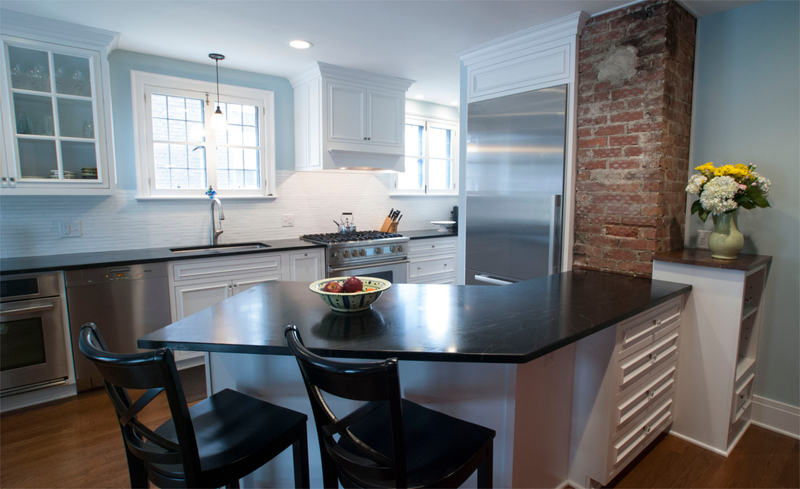 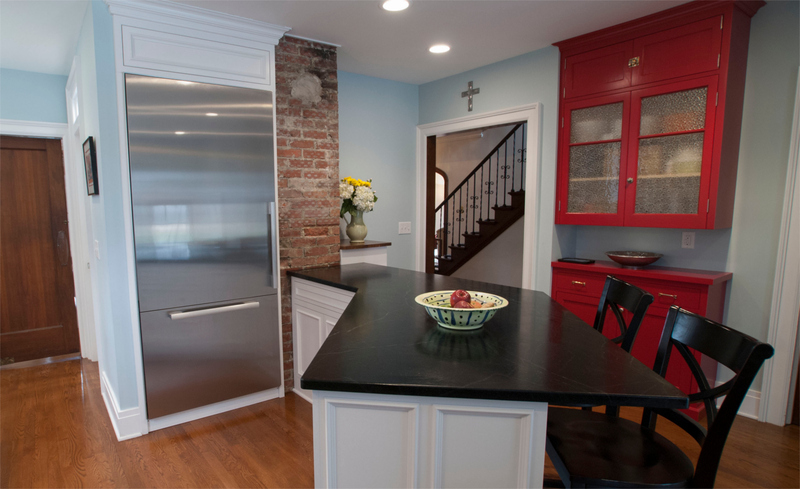 Completed kitchen featuring original brickwork alongside modern appliances. 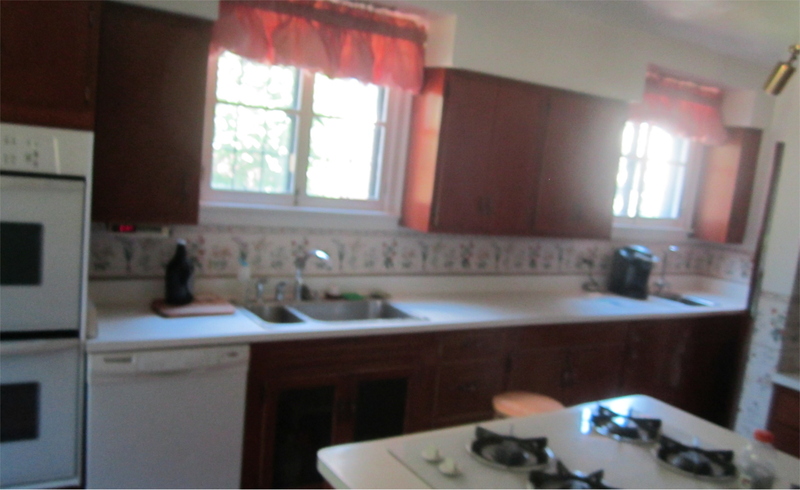 Finished kitchen with hardwood floor. 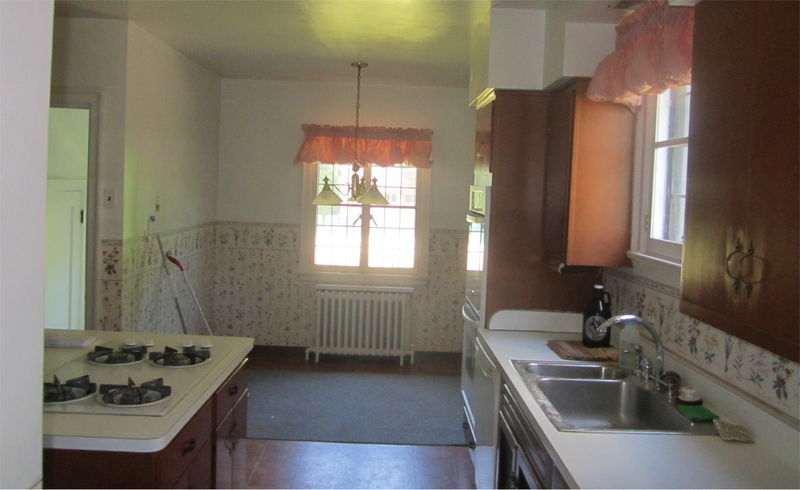 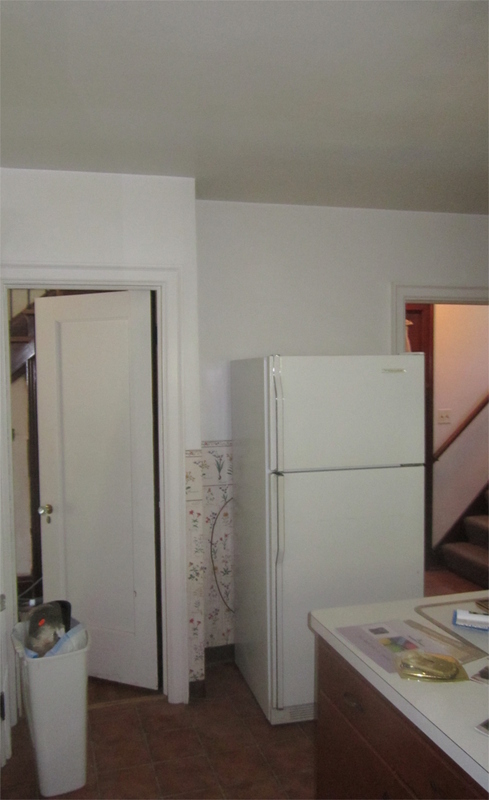 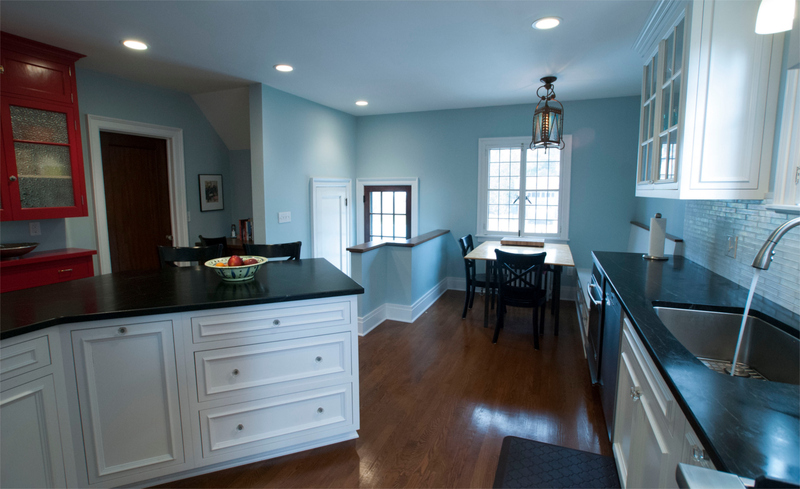 Renovated kitchen with white cabinets and black countertops.